Hotspot Shield is excellent Encryption software for protecting your personal data from hackers when you are browsing internet. It helps to access online information, even it is blocked or censored. Services such as Facebook, Twitter, and Skype can be accessed when blocked. Hotspot Shield is perfect PC utility for Wi-Fi networks, encrypting your system data while surfing web. Hotspot Shield is the largest Virtual Private Network (VPN) in the world offered by “AnchorFree” software publisher, safeguarding data and accessing blocked website content. Getting into Hotspot Shield Installation, two search toolbars are provided – Hotspot Shield and Conduit. When Hotspot Shield is activated, AnchorFree official website is opened in new tab and starts playing a video. Coming to its Interface, the system tray icon turns green when activated. Hotspot Shield connection displays the amount of data transferred and consumed time. Hotspot Shield institutes an encrypted connection to its servers and converts all HTTP content to secure HTTPS. 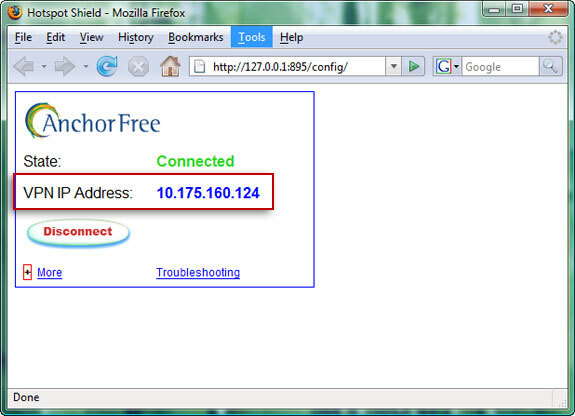 Secondly, it provides an “AnchorFree” hosted IP address by re-routing Web traffic. Thirdly, it ensures your private data doesn’t get in the hands of hackers, intruders or spammers. Hotspot Shield provides a special ads-free service (Elite) which costs $0.50 for 24 hour session, or $5 per month or $45 per year. This amount can be paid through PayPal, credit card, prepaid cash cards or mobile phone payments via premium SMS. There are no additional features or services in Elite service. Or else, the latest version of Hotspot Shield 2.24 is available for free, which supports Windows 7, XP, Vista and 2000 OS systems.